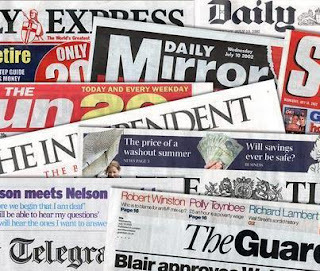 The Newspaper Proprietors Association of Nigeria (NPAN) has given reasons it had not paid some newspapers outfits the security compensation over the disruption of circulation of newspapers by the military in June 2014. In a statement on Saturday by Mr. Feyi Smith, Executive Secretary of NPAN, the body reacted to the press release issued by the Tribune, New Telegraph newspapers and others. "Our attention has been drawn to statements issued last night by the Nigerian Tribune, Peoples' Daily and New Telegraph Newspapers claiming that they did not receive the compensation for the military disruption of circulation of newspapers by the Federal Government. "(2) that members should bring their membership account current, by paying all past dues to the Secretariat before collecting their cheques. "The cheques for the Nigerian Tribune and Peoples' Daily remain in the Secretariat awaiting collection. "In the case of New Telegraph, the Secretariat was confronted with a situation where 13 Newspapers made claims while compensation for 12 newspapers was made. Blueprint Newspapers which was inadvertently omitted from the list has since been been paid. "When New Telegraph now demanded payment that had been collected by Blueprint Newspapers, the secretariat then brought the matter to the attention of the President, Mr. Nduka Obaigbena, who then called Governor Orji Kalu, the Publisher of both the Sun Newspapers (who had been paid) and the New Telegraph (which has not been paid), to urge him to be patient for the matter to be tabled at the next Executive Council meeting, where he would seek the approval of the EXCO to take the funds earmarked for the Secretariat to pay them.